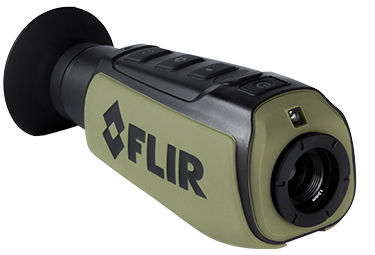 The compact, lightweight FLIR Scout II thermal handheld camera gives you clear, crisp thermal imagery from dawn to dusk and through the dead of night. If you can't bear to miss a thing while exploring the great outdoors, the Scout II is your ticket to experience the night as never before. Scout II is a rugged, compact thermal night vision camera built for the great outdoors. Scout II detects the body heat of animals and people in any terrain, day or night. Track game, recover downed animals, watch for predators, and stay aware of your surroundings after darkness falls. With a high resolution LCD display, video out (320 model ) and a choice of magnifications, Scout II empowers you to experience wild places like never before.